Delectable food, intriguing temples and a vibrant nightlife scene — we all know that Bali has plenty to offer. But if you’re a scuba diver, you’ll get to see a whole new side of the island paradise when you explore its watery depths. Take your pick from some of the best dive sites in Bali. Located 8km north-west of Bali, Menjangan Island lies within the Bali Barat National Park and is one of the best places for wall diving. In fact, the visibility is so good (it’s often 25m, at least) that you can even snorkel in the waters off the island and see plenty. Must-visit dive sites include Temple Wall, which is situated near a gorgeous Ganesh temple, and Coral Garden, where you’ll see layers of colorful coral and marine life. Diving in Pemuteran is suitable for beginners — you don’t ever really leave the bay area, so you won’t have to worry about strong, unpredictable currents. 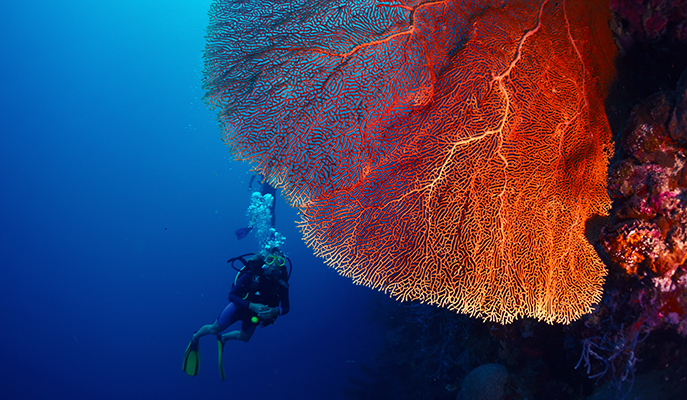 A great dive site to visit is Bio-Rock, a major reef restoration project that was launched in 2000. 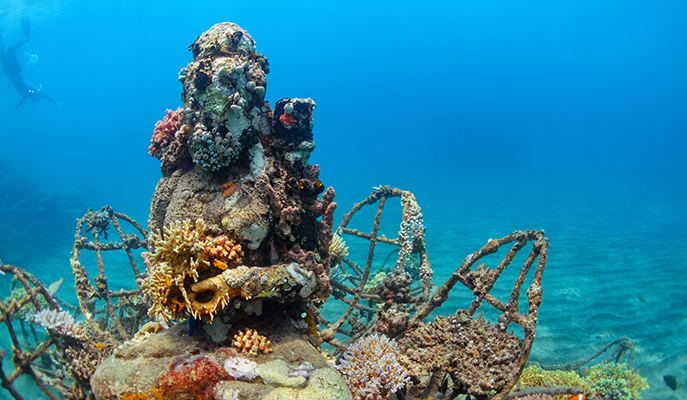 Exploring Bio-Rock is like being in an underwater museum; from metallic structures shaped like sea creatures to strange artefacts (like old bicycles) that are home to various reef fish, it’ll be an eye-opening experience for any diver. 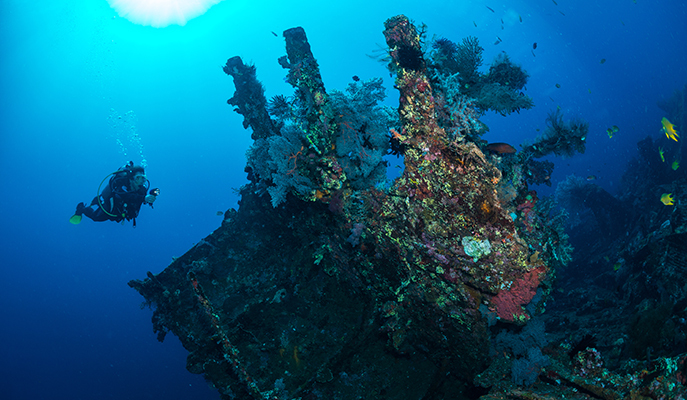 Tulamben is synonymous with the world-famous USS Liberty Wreck, a sunken World War II cargo ship. The ship is located just 25m from shore and between 5m to 30m deep, making it one of the world’s most accessible wrecks. Here, you’ll get to see a variety of marine animals cruising by, from over-friendly surgeonfish to schools of bumphead parrotfish. The night diving here is also excellent, with macro critters from squat lobsters to ghost pipefish making appearances. The boat ride out to this island south-east of mainland Bali may be long compared to other sites (up to 60 minutes if weather and sea conditions aren’t favorable), but it sure is worth the trouble. 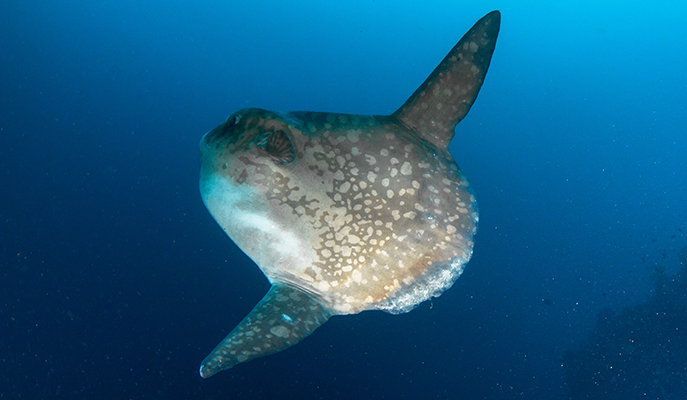 The Crystal Bay dive site is excellent for spotting the elusive ocean sunfish (aka mola mola), but because currents are strong, it’s not recommended for inexperienced divers. 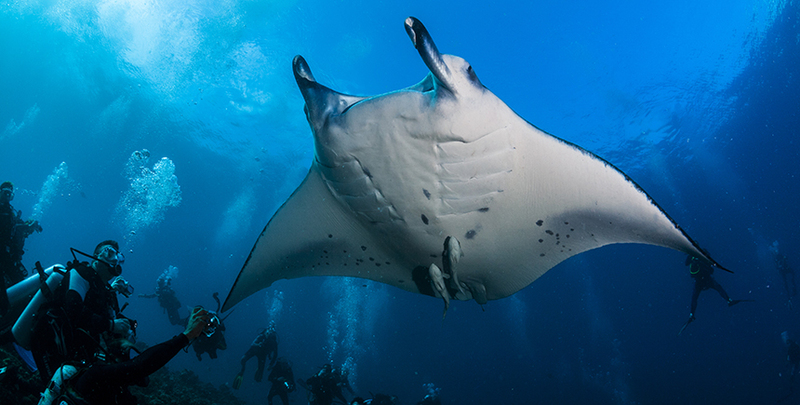 Another nearby site, Manta Point, is known for its resident manta rays that hang around the waters to feed (and probably even socialize with divers! ).